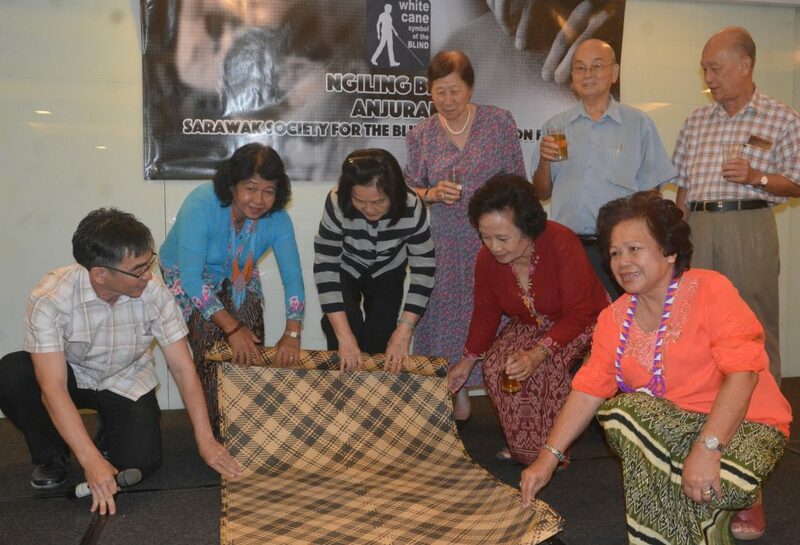 Deputy chairperson of Sarawak Society for the Blind (SSB) Sibu branch, Datin Judy Lau (third left), organising chairperson, Monica Giri (second left) and others officiating the closing of Gawai Dayak celebration at the “Ngiling Bidai” ceremony of SSB Sibu branch on Friday. SIBU: Sarawak Society for the Blind (SSB) Sibu Branch will be celebrating White Cane Day in September. Chairman of the branch, Clarence Ting said the White Cane Day aimed to raise awareness among the public of poor vision problems besides raising funds with the sales of flags or stickers. “We will apply for students’ help to collect donations on our behalf,” he disclosed during a “Ngiling Bidai’” ceremony organised by SSB Sibu branch here on Friday night. Ting also urged his committee members to go to the ground to identify individuals with vision problems. He said SSB Sibu branch would be cooperating with Sibu Hospital to organise eye screening programmes for the public. The branch would also organise more welfare activities. SSB Sibu branch deputy chairperson, Datin Judy Lau, honorary secretary of SSB Sibu branch, James Lau, Penghulu Evelyn Holly Sebom and organising chairperson, Monica Giri were among those present at the “Ngiling Bidai” ceremony. SSB Sibu to celebrate White Cane Day in Sept 0 out of 5 based on 0 ratings. 0 user reviews.